Enjoy another guest post while I get caught up on life. Oh hell, who am I kidding; I’m going snowshoeing today. While I stomp around Colorado’s white gold, enjoy this post from Andrew Syrios. Yet despite this undeniable truth, credit card debt hit an all-time high this year. The average American now has $6,375 in credit card debt, totaling over $1 trillion in total! It’s probably worth mentioning that the average interest rate on credit cards is 19.05 percent! While using credit cards is fine and there are even cases where holding a balance on a credit card makes sense, it doesn’t make any sense at all to run up credit card debt just to buy more stuff. And the same goes for pretty much every other form of consumer debt; be it electronics, furniture or what have you. For example, back when I was a kid, a friend of my dad’s used to buy a new furniture set every couple of years. He would then sell his “old” furniture set to my father for a fraction of its original cost. The ironic thing about this was that my dad’s friend made something like $40,000 a year while my dad had built up a successful real estate investment company. And despite my dad telling him he shouldn’t continue buying a new furniture set every few years, he just couldn’t help himself. And by the way, I always thought that our “old” furniture set was perfectly fine. In my last post for 1500Days.com, I discussed the “Get Rich Slow Mindset” and the importance of being able to defer gratification. Stuff is, more often than not, a form of quick and mindless gratification. Even when debt is not involved, stuff gets in the way of investing. Every dollar spent on a new this or a new that is a dollar that cannot be spent investing and building your nest egg. Of course, we all need some stuff. And life isn’t worth living if we’re just here to collect assets and hoard them until we die like Ebenezer Scrooge. Indeed, having built a bit of wealth myself, I am more than happy to spend some of it traveling and doing other things I really enjoy. But stuff should always be seen as a means to an end, not as an end in and of itself. Furthermore, the most expensive thing is rarely that much better than many of its less expensive alternatives. A bottle of Louis XIII cognac goes for $600 (and apparently, that’s a good deal as it used to retail for around $3000). Is it really that much better than this $24.99 bottle of Hennessy I found typing “cognac” into Google Shopping? 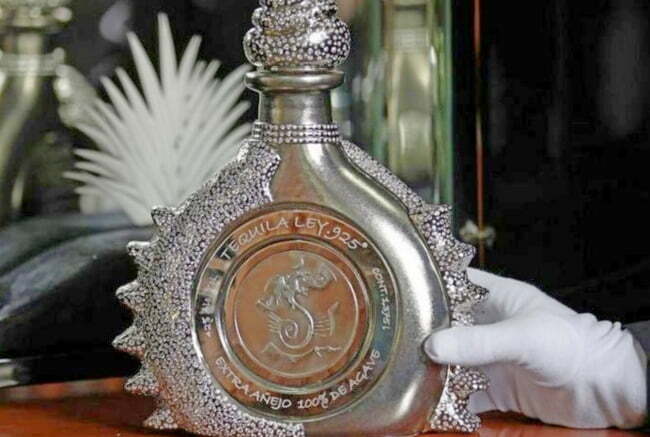 Or perhaps I’m being cheap with Louis XIII and we should really treat ourselves with this very reasonably priced $3.5 million bottle of Pasion Azteca by Tequila Ley! Those might be extreme cases, but there are thousands of much smaller purchasing decisions we make every year that can and often do create a barrier to investing. Yes, we don’t want to just buy cheap garbage that will break the second or third time we use it. But that $15 T-shirt is probably just as about good as the $150 one. My brother has a pretty good rule of thumb where he buys the second cheapest item the store has available. For example, Home Depot’s cheapest hammer in stock looks like it will fall apart after a couple of swings. It has a wooden handle that looks like it’s just begging to break off from the head at any moment. But the second cheapest (which is much cheaper than the most expensive), appears strong and sturdy. Indeed, I’ve owned it for many years now and it is hammering away just fine. Stuff is necessary, sure, but you need to keep a leash on it. Most stuff is unnecessary and much of it is far more expensive than less expensive, but perfectly serviceable alternatives. In so far as stuff redirects your money away from investing (and bleeds out even more if bought on credit) it is the enemy of wealth. Financial freedom is built on a lot of investments, but very little stuff. Thank you Andrew for the post today! Visit Andrew on his blog and on BiggerPockets. Less stuff also equals more mental freedom. The second cheapest rule is a pretty good one to save and also not end up with a paperweight. Good tip! Couldn’t agree more on the “stuff” front. Only thing I would say though is once you’ve so far overshot your goal and the only chance of your withdraw rate not panning out is a zombie apocalypse or nuclear Armageddon, it’s probably okay not to think twice about getting a new car, pair of jeans, or latest gadget. It is kind of a conundrum because the math says most FIRE people will eventually have enormous piles of money and withdraw rates approaching 1%, so a little lifestyle inflation is bound to happen. If not you’ll end up giving it away to charity or individuals who will not have nearly the same discretion when spending your dollars. This is true: I’ve tried to deposit my stuff into a Vanguard account. No dice. Apparently, they’re holding out for money, which is the opportunity cost of stuff. I certainly agree with this. I’m not rich, but im fortunate enough that I can really buy most things I want at this point. Now in my late 40’s, I’ve already got too much stuff as it is (tools, electronics, etc) and its now a chore to try and downsize it all. I hardly ever go shopping anymore unless its for a targeted purchase that I need. Sure I’ll still buy or upgrade things at some point, but I really try to spread it out or it makes practical sense to do so, or wait for a super deal to come along. At this point in my life, I feel much better having a little more financial security with reserve savings and investments than blowing tons of money on a bunch of stuff I don’t really need.